This wonderful cocoon coat is made of a HEAVY-WEIGHT Luxe Fleece fabric which is much heavier and luxurious than regular fleece. 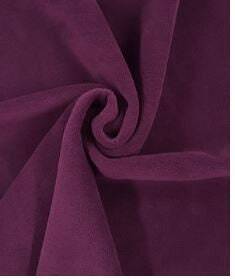 A premium quality fabric and oh so soft! A great choice for winter weather. Wyatt Bears (pictured) is Director of Big & Tall here at Duds 4 Buds! 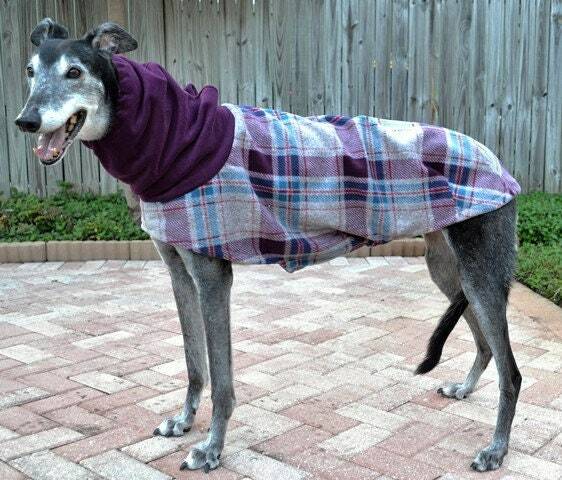 He is modeling this beautiful, heavy-weight, Plum Plaid Cocoon Coat. 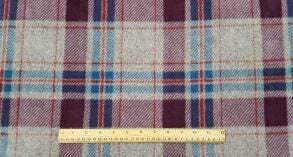 The color is a deep, rich shade of Plum, and Gray Plaid - even husbands won't mind walking the hound in this one, so ladies you can get by with getting a "purple" coat. The hoodie has elastic around the face and can be worn up or down. Ideal for keeping toasty warm on a winter’s walk. It is designed to fit longer and covers the rear! Adjustable Velcro belly closure - great for layering. Darted in all the right places for a tailored fit. Simply put head through the neck opening and fasten Velcro belly strap. There is no need to remove for potty breaks for male or female. Medium = Girth 32-34 inches (largest part of chest). Length is 31 inches (from base of neck to base of tail). Large = Girth 34-36 inches (largest part of chest). 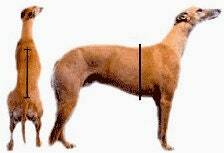 Length is 31 inches (from base of neck to base of tail). Please contact me if you need assistance with sizing. This jacket fits perfect! Super soft fabric and good quality. Betty will be lookin fly! Finally got a picture of Phoebe with her winter coat. I love it, she keeps the snood on longer than she has with hats. She looks so cozy! Gina is a sweetheart and lovely to do business with. Violet looks great in her new coat and she knows it. Violet is 80 lbs and wears a medium. Also got an adorable matching coat for my new Italian greyhound baby. Shipping was very fast! Will definitely order again.